I really don't like all these starwars-esque hovercraft things I've seen though. I'd personally keep stuff like that out of even a hw2 era groundwar game. 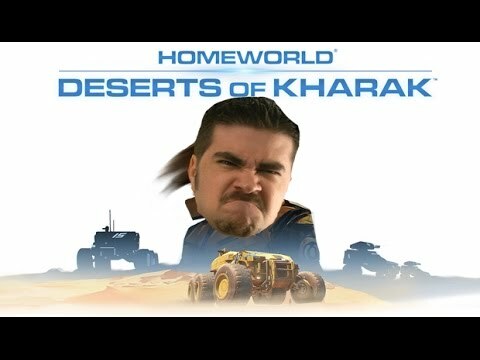 I think the desert expanding is something that occurred throughout the Kharak history. I reread the Sjet history and it mentions even in the religious wars, the desert was expanding, even in the 300-400 KDS. Even the earliest history mentions natural disasters from 75-250, thus it may be easy to assume the planet was very sensitive to human activity (farming, very early industry) from the beginning. As for hover vehicles, I snap know the tect of the space ships is well known. Ground vehicles not so much. It from the recent media blitz it appears that Kiith Gaalsien stumbled across Taiidan or Hiigaran technology in the desert and engineered their hover vehicles from the lost tech. It seems this is what gives them their edge in battle. It is not "normal" tech in the setting. So. Mission centric spoilers coming up. Don't click until you have passed mission 8. In Tombs of The Ancients, it becomes clear that the reason there are so many wrecks hidden in the equator on Kharak is because of the Hyperspace core pirating nearby jump-capable ships and summoning them towards it, entombing the vessels in perfectly box-shaped tombs of rock, which may or may not come to the surface through erosion or geological event. I find this a cool plot-hole evading "loophole" in the general scheme of things.